The project manager for CWT is an environmental scientist with a doctorate in environmental chemistry. He specializes in the field of heavy metal toxicology, and has been active with environmental pollution control and management for over a decade. 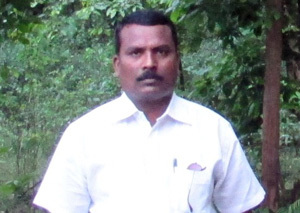 He is proficient in designing systems for waste management based on natural principles. He was an assistant professor at the Centre for Environment and Development, YASHADA, Pune, an apex state government training institute. He is a certified Trainer of Trainer under the DTS program of the national government’s DoPT. He has guided over 60 students for their MSc dissertation and two for PhDs. An amateur birder and wildlife enthusiast at heart, he gave up his active environmental consultancy work of 13 years to work on the trust’s activities. CWT’s project coordinator has extensive experience working with rural and semi-urban communities whose empowerment he sees as a strong tool for change. He’s worked with Indian Institute of Youth Welfare Shiwajinagar Nagpur and Gramin Adivasi Samaj Vikas Sansthan. He’s also spent four years as a manager with National Institute of Women Child & Youth Development where he worked on microfinance, livelihood development, SHG building and women empowerment. He has also been a participant in various seminars and training sessions held by various state level organisations and non-profits, which have enriched his understanding of rural issues. The coordinator for CWT’s education intervention has master’s degrees in sociology as well as education. He has worked with the Indian Institute of Education, Pune, as an academic coordinator, and has also worked with a tribal residential school in Jamb as an assistant teacher. He has been associated with the Jalswarajya Project as a community organizer and worked with 47 gram panchayats in Nagpur on issues of water supply, sanitation and women empowerment. 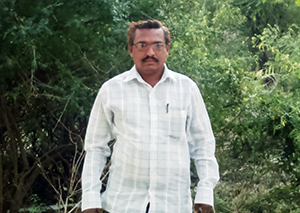 Subhash is the village level coordinator for the community-based wildlife conservation project and the E-Base program. A resident of the village of Turia, he has attended several workshops and training programs related to the environment and wildlife. 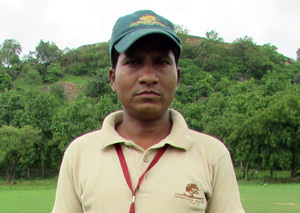 He has a wealth of knowledge about Pench where he has been a guide for the last nine years in its tiger reserve. He is a zealous member of the E-Base intervention since he believes in the power of educating the next generation to develop a sensitivity to the wildlands and facilitate change. 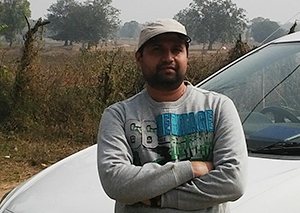 Sachin is the village level coordinator for the E-Base in west Pench, Maharashtra. He has a diploma in technical education and agriculture, and strongly believes in the potential of the amalgamation of technology with agriculture, hoping to put it in application someday. 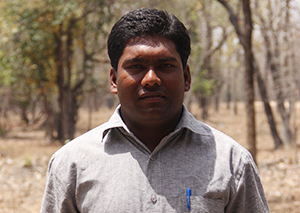 Having experienced working as a teacher—he has previously been a computer teacher in the Kolitmara Ashram School—Sachin has an insight with regards to education in rural landscapes. 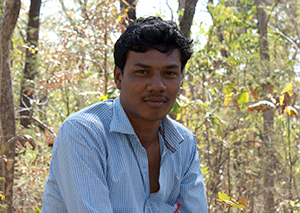 Santosh is a local Gond boy who is the village level coordinator for the east Pench cluster of villages. He has degrees in social work as well as education. His understanding of the local youth allows him to inspire them to work for their community. 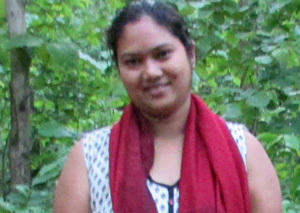 With a Master’s in social work from Matru Sewa Sangh Institute, Nagpur, Priya worked with Snehalalaya, Ahmednagar, as their monitoring and evaluation officer. Her key role in CWT is to mobilize the women of our intervention villages, develop their SHGs, establish stability with standard procedures amongst them and aid in their empowerment. Pooja handles CWT’s content and communications. After a degree in banking, she went to South America to follow her passion for teaching. She organized the first ever Earth Hour 60 congregation in Cartagena in 2011 along with her students to educate citizens about the impact of climate change in the Caribbean. During her time in South America, she travelled extensively; from the Colombian Amazon to the Ecuadorian Andes. 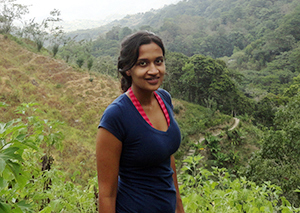 On her return to India, in 2013 she was project manager of CWT’s E-Base program for two years.